Last month, the Second Amendment Foundation filed a suit in federal court against the police departments of San Francisco and Oakland. 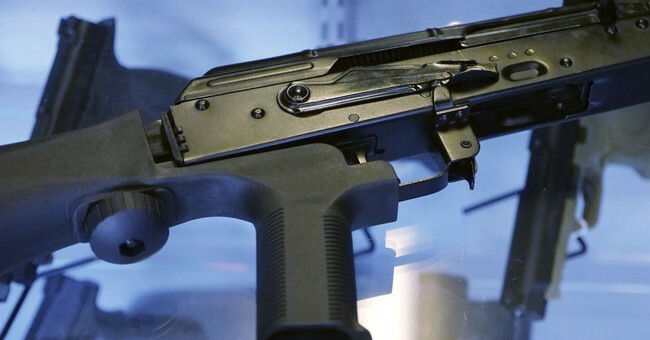 The suit was over the police departments’ refusal to return firearms confiscated from individuals during the course of investigations in which those individuals were later cleared of wrongdoing. The filing, which came just days before the similar story of wounded Afghan war veteran Lt. Augustine Kim surfaced, where, after stop for a medical appointment at Walter Reed during a trip from New Jersey to South Carolina, Kim was arrested and his firearms confiscated by DC police. The Calguns Foundation is a 501(c)3 “providing Second Amendment-related education, strategic litigation and the defense of innocent California gun owners from improper or malicious prosecution.” The case is known as Churchill, et al. v. Harris, et al. In 2005, along with the National Rifle Association, SAF lead the charge against Ray Nagin and the City of New Orleans when they attempted a similar gun confiscation move following Hurricane Katrina. Also in 2005, the foundation’s legal challenge overturned San Francisco’s handgun ban. However, SAF’s greatest accomplishment came in 2010, when it won the landmark McDonald v. Chicago Supreme Court Case that overturned key provisions in the City of Chicago’s draconian gun registration laws. If the Second Amendment Foundation were to win, Churchill, et al. v. Harris, et al would just be the most recent in that long list of successful litigations in defense of the Second Amendment for the nation’s oldest and largest tax-exempt education, research, publishing and legal action group for Second Amendment advocacy, and they are confident they will prevail. According to SAF, both police departments are basing their refusal on a California Department of Justice memorandum that requires the departments to obtain proof of ownership from the individual for each firearm before they can be returned. As Churchill, et al. v. Harris et al begins to make its way through the legal process; its progress can be followed on the Second Amendment Foundations website www.saf.org.